We’ve been receiving numerous inquiries from people who have Sharing Economy Income and also Social Security Disability Insurance (SSDI). For these reasons, we’ve created a post to help you navigate handling both income streams. What Are the Most Common Reasons Why People Lose Their SSD Benefits? If the medical or psychiatric conditions that resulted in your disability improve, then the Social Security Administration may determine that you are no longer eligible for benefits because you are no longer disabled. However, the most common reason that people lose their SSDI benefits is because they have returned to work. If you decide to return to work while you are receiving Social Security disability benefits, the Social Security Administration will review your work activities in order to determine if you have engaged in substantial gainful activity (SGA). If you exceed the SSA’s thresholds for SGA, then your benefits will be revoked. The Trial Work Period (TWP) refers to a period of time in which someone who is currently receiving SSD benefits can return to work without losing their benefits. In most cases, you are permitted to return to work for up to 9 months before you lose your benefits. If you are a dependent that receives benefits based on the earnings record of another person, reaching retirement age, a change in living arrangements or marital status could cause your benefits to stop. You may also lose your benefits if you leave the United States for more than 30 days or you become incarcerated or institutionalized. While Social Security does have special rules that apply to individuals who receive SSD payments, there are some instances in which can you continue to receive your full monthly benefits and income. However, you should be aware of what these rules are so that you do not jeopardize your payments. Here are the rules to help you keep your Sharing Economy income and SSDI. For the purposes of determining your Social Security disability benefits, earned income, the income earned from working, will determine your benefits. In contrast, passive income is income that is received on a regular basis, with little effort required to maintain it. Social Security does not include passive income in the determination of benefit payments. Investment income is passive income. In most cases, rental income would be considered as passive income. Other examples of investment income include interest, pensions, capital gains, and annuities. How you report your Homeshare income to the IRS can affect how the Social Security Administration views your income in order to determine your benefits. If you determine your rental income is passive, you would then report it on the Schedule E (Form 1040), Supplemental Income and Loss. This form is used to report income or loss from rental real estate. However, if you perform work on the property, including rent collection, renovations, repairs and maintenance, you may be considered as self-employed. In this case, you would report your Homeshare income on Schedule C (Form 1040), Profit or Loss From Business. Social Security will count whatever you report on Schedule C to determine your net earnings from self-employment. If you have not done any work on your Homeshare rental property in order to receive your rental income, then this rental income may be reported on Schedule E.
Since self-employment income can affect your disability benefits, it is important that you do not perform any physical work on the Homeshare rental property. Performing work activities on the property will jeopardize the status of your Homeshare income as passive income. It is also important to keep careful records of the activities that are being performed on your behalf, including the compensation. This will ensure that you are prepared to show that your income did not result from any work activities on your part. 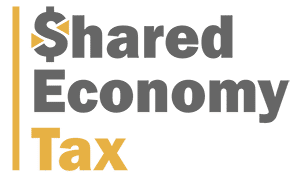 If you have any questions about how your Sharing Economy Income and the implications on your Social Security disability benefits, please feel free to contact us.